← The end of Ichi Nichi Drawings? 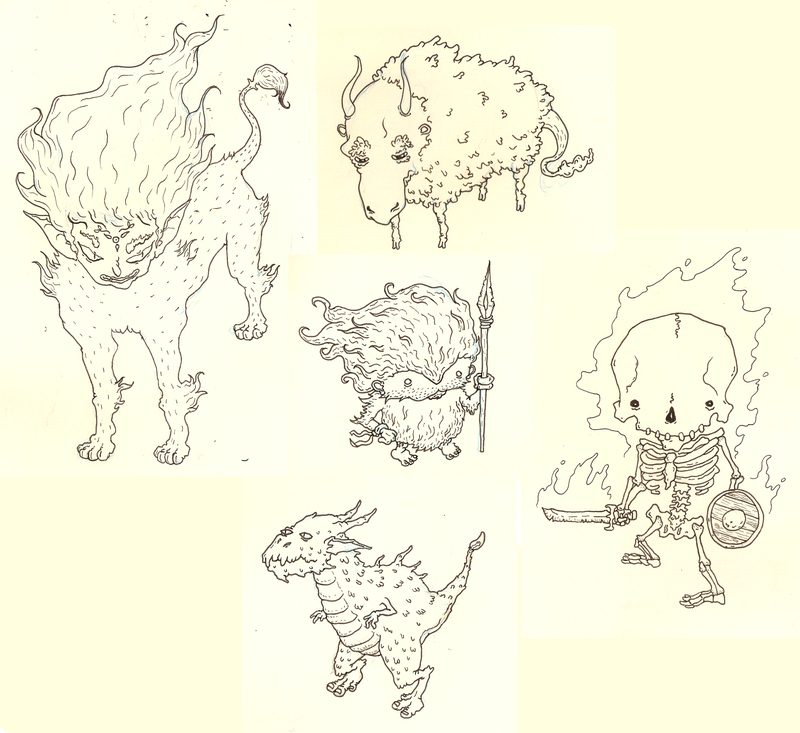 This entry was posted in Chronicles of the Tales of the Sagas, Role-Playing, Work In Progress and tagged animals, Beast, Beasts, D&D, Dinosaur, Dragon, Drake, Dungeons & Dragons, magic, magick, Moleskine, monster, Monsters, nature, Necromancer, Necromancy, Pathfinder, Pygmie, RPG, Sheep, Skeleton, Sketchbook, Sphinx, Undead, WIP. Bookmark the permalink.